Every month, site resource staff from AAUW national sends content suggestions, including necessary HTML code, to all website contacts. Any AAUW branch, state, or affiliated programs interested in adding this content to their website can simply copy the code into the desired section of a website. 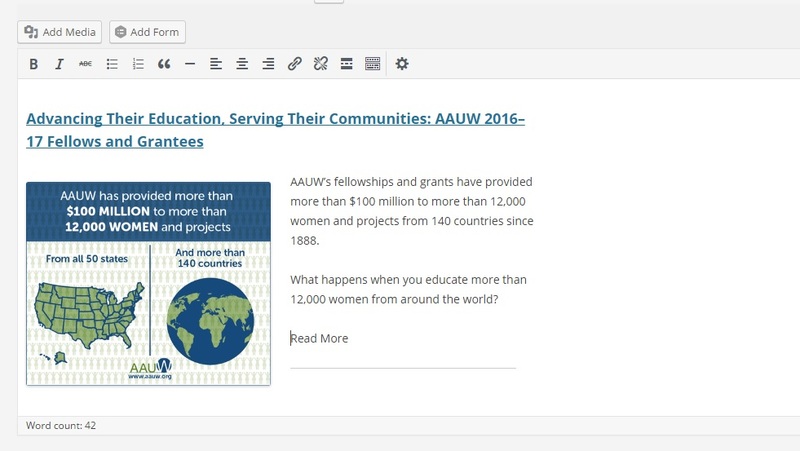 The HTML code includes image location paths to the AAUW national website (where offered), and you won’t need to upload images into you website’s media library separately. You may download HTML for content suggestions in Word format. Navigate to the page/post where you want to display the content. Select “Edit Page/Post” in the navigation bar. Copy and paste the section(s) of HTML code from the content suggestions Word document into the desired area of your page/post. If you switch to the visual tab, you will see the changes in graphical format. 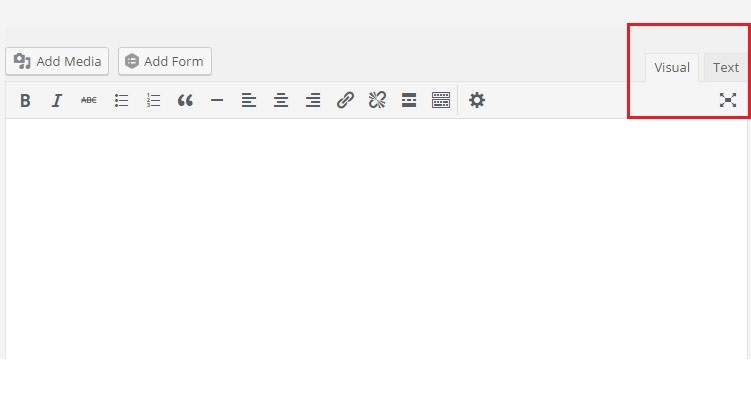 You may now move content around a page through the visual tab using drag and drop rather than returning to the text tab. 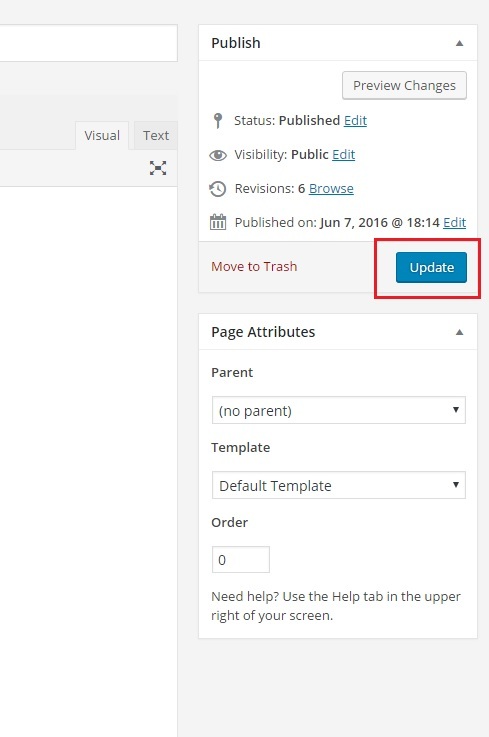 To save the changes, click the “Update” button under the publish toolbar on the right. You have successfully added content to your website. Follow the same process for other suggestions as well. This entry was posted in Wordpress Editing Tips on July 29, 2016 by srsupport3.